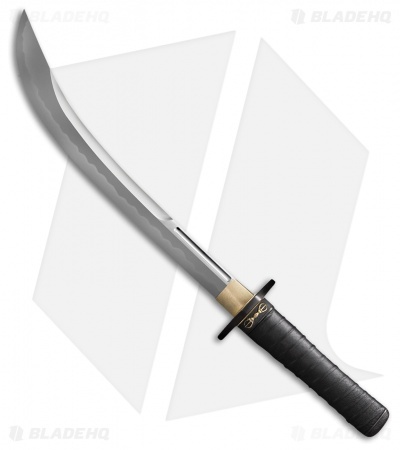 This Cold Steel Seagul Signature Wakazashi Sword offers a rare antique design for collection and display. Leather wrapped handle for a high performance grip. 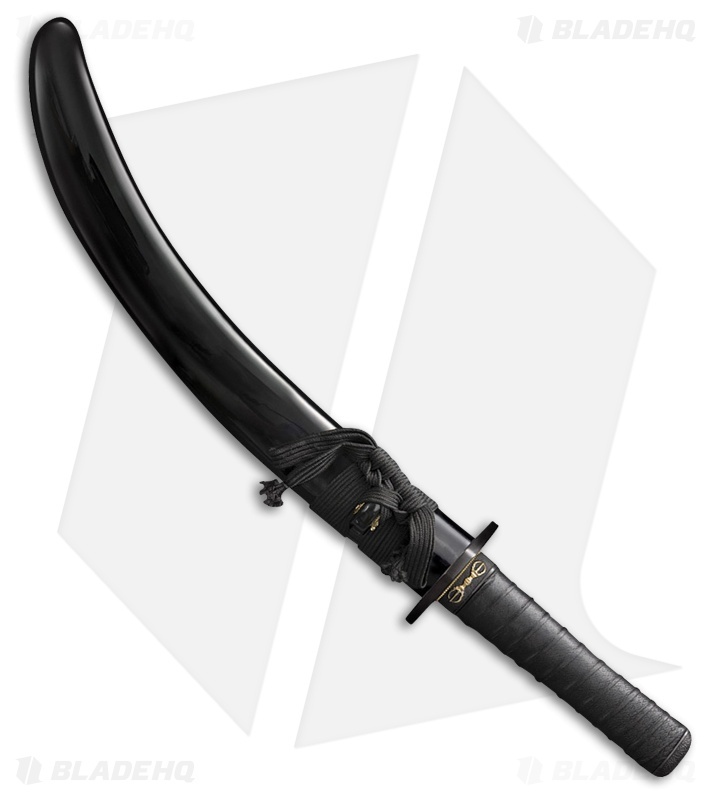 Black lacquered wood scabbard provides a safe storage option. Wide, curved, Naginata-style blade made from damascus steel.